Looks like the latest fashion trend in Virtual Reality... is to look like an owner of an Oculus product. Let the VR Fashion Wars begin! Oculus VR avatars have really created a buzz in the market since it was realized. But, it still has one big limitation that it is not visible outside of Oculus own’s platform. Oculus has decided to remove this limitation as they revealed that avatars will have cross-platform support from 2018. Oculus said that initially, avatars will support SteamVR and Daydream VR with support for other platforms coming later in 2018. Oculus also promised tangible upgrades to the avatars. Oculus also said that developers will have more options like contributing their own apparel (which includes the content that they have to unlock). The interesting bit is how developers can add their own avatar parts. So you could have (for example) special sunglasses that are only available if you get an achievement in a specific game. Maybe @cybereality could get some special avatar parts to give out as forum prizes in addition to tshirts? I'm very interested to see how this turns out from the cross-platform implementation. I haven't figured out how this is going to work from a technical perspective. Will the Avatar data be communicated via API's? Is this the first step in OpenXR? Personally I'd just like to see better / more varied avatars available in general. I'm tired of looking like an elderly blue unskinned model of a man. Something more stylized / less realistic would be great. Maybe total avatar replacements will be a thing individual developers can offer? For example, maybe by playing Rec Room I could get the ability to replace my Oculus Avatar WITH a Rec Room avatar? Well, I think he should still send real shirts. But there could be other things like the forum achievements that have avatar rewards. Being a forum member for x years could have a hat, etc. Of course knowing Oculus, everything would be based on Reddit attendance instead of this forum. App needs an app id. Use app id to init oculus platform. Ask platform for the current player id. Init oculus avatar (needs platform). Give player id to oculus avatar. It will now asynchronously return mesh ids for each body part. Give mesh ids to oculus avatar (one at a time). It will now asynchronously return mesh data for the mesh to requested. If you want to render other people, just use another player's id instead of yours and repeat the process. I haven't tried, but in theory we could already use oculus avatars in SteamVR games (I'm just guessing). They'd need to have a registered Oculus app id and link with the oculus platform and avatar libs. 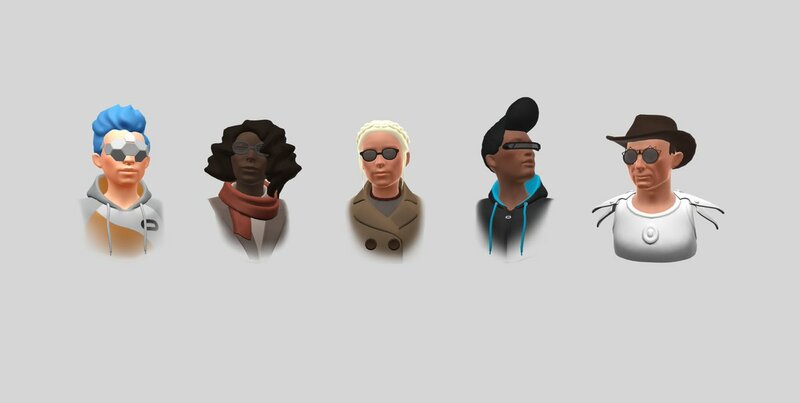 But the actual rendering of the avatars is oculus independent. However there's no current way for non oculus owners to customise their avatars, so it's a bit pointless to try right now. For example, maybe by playing Rec Room I could get the ability to replace my Oculus Avatar WITH a Rec Room avatar? I love the Rec Room avatars. They just look so happy.